Location - "Hair By Styles"
Master Stylist Atlanta GA. & St. Louis MO. Visit Salon Owner & Master Stylist "Styles Ali" here at Jus Jazzi Salon. Specializing In; Weaves & Extensions, Sew Ins, Fusions, Micro-Links, Braidless Sew Ins, Lace Front Wigs, Natural Hair Care, Silk Press, Keratin Treatments, Smothing Treatments Hair Coloring, Relaxers, Redken Hair Color Expert, Cutting, Hair Restoration, Hair Re-Growth, Hair Design, Wedding Styling, Prom & Event Styling, Celebrity Stylist & Much More. 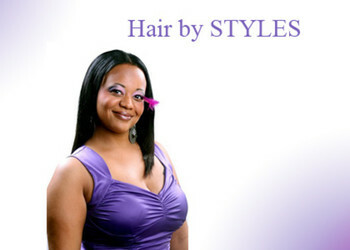 Continuing to build the "Hair By Styes" brand with professionalism, pride, advanced education, & amazing styling skills. Will be the formula that keeps "Hair By Styles" as the industry leading hair force. Buckhead, Vinnings, Roswell, College Park, Stone Mountian, Decatur, Columbus GA., & St. Louis MO. Open 7 Days Weekly By Appointments!